We never thought it would be possible, but eatBoston’s Guacaholics Anonymous event last night just might have cured us of our guacamole addiction. 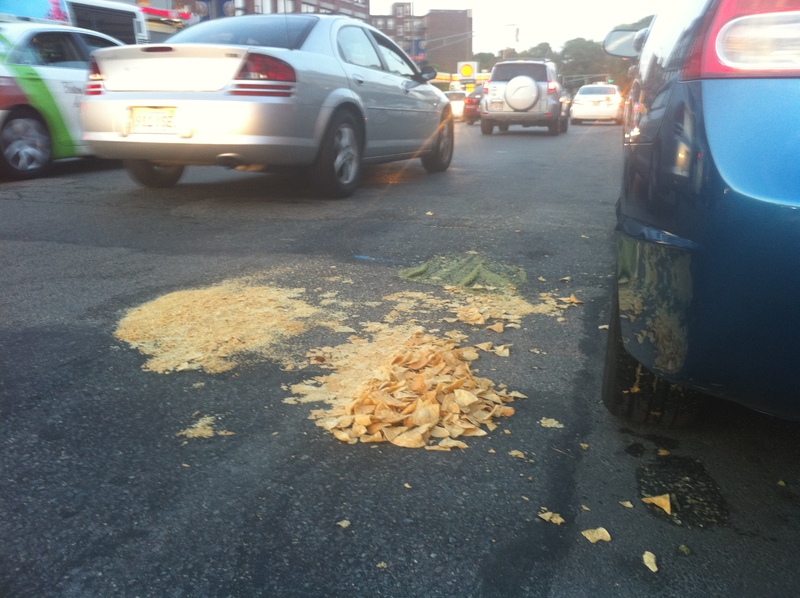 On our way to the Fenway area, we ruminated whether or not it was possible to die from guacamole overdose. After sampling the guac from seven restaurants and ten or so amateurs, and enjoying a “diesel powered” margarita, we can say definitively that guacamole kills. While Skyler dished up her “East Africa Conquering” guac, Andi had the chance to sample the fare: it’s no surprise that Anna’s Taqueria was our favorite. Located a dangerous three blocks from Nacho Patrol World Headquarters, we’ve had their gauc before and loved the perfectly seasoned, smooth-but-not-gluey consistency they presented last night. La Verdad gave us a pleasantly flavored traditional guac, while Ole beat out Rattlesnake for the title of best fruit guac in the room. Though the pros gave us a bevy of great “house” guacs, the real innovation last night came from the amateur section. We loved the smokiness of Justin’s Elote inspired guac and our table-mate Molly demonstrated quite the flair for presentation with her “Cowboy Caviar” served on Frito chips. And how could we close without mentioning We Are Not Martha’s bacon guac! What an intriguing (and delicious) idea! In short, we had a great evening. EatBoston truly knows how to throw a party and we can’t wait to see what green, creamy goodness they whip up for us next year. Tags: #guacanon, Fenway, Guacamole, too.much.guac, Viva Mexico!